The Rogues have divided and conquered, luring The Flash out of Central City just long enough for them all to rob multiple targets. Even The Fastest Man Alive can't be in six places at once! Can The Flash thwart his enemies' greatest heist ever? 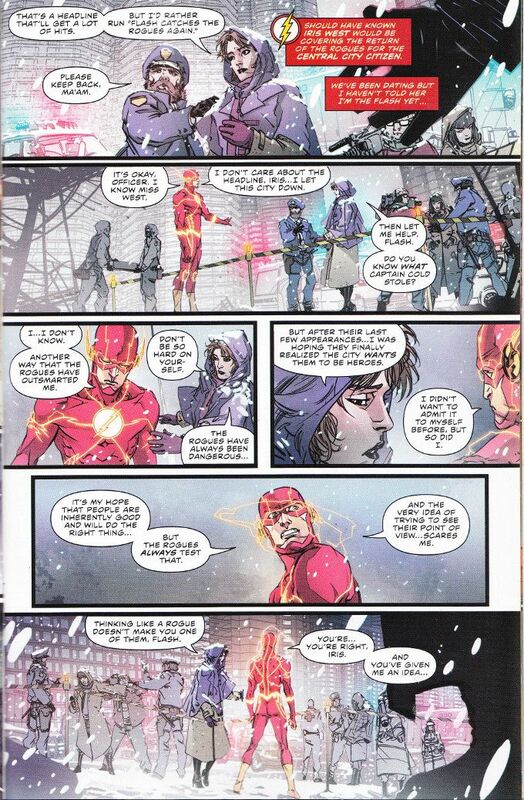 The artwork is much stronger than its been in recent issues of The Flash. The uncharacteristic sloppiness that plagued Carmine Di Giandomenico's recent output is absent. Fittingly, there is a continual sense of motion to Di Giandomenico's work that well suits this issue's high-action story. 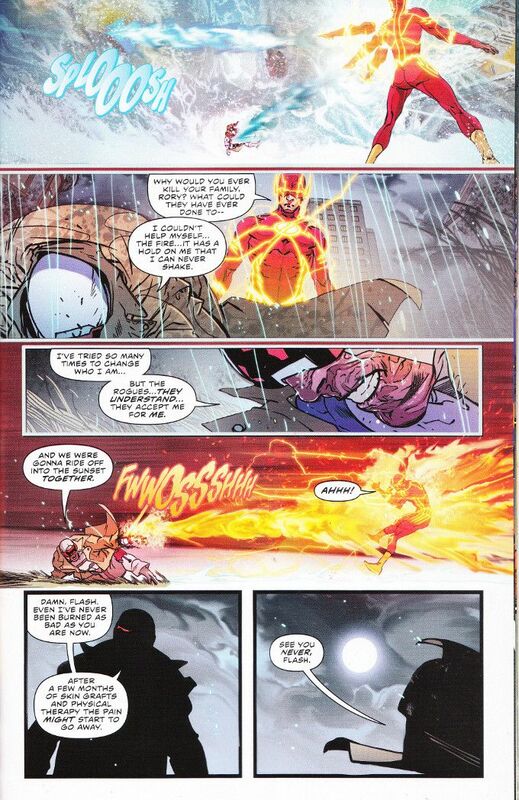 Of particular note are the effects used to simulate the variety of energies involved from The Flash's lightning to the fire of Heatwave's gun. Despite this issue being furiously-paced, Joshua Williamson's script also contains a number of brilliant character scenes. No matter how fast his stories moves, Williamson always gives his cast a chance to speak and the scenes of Barry trying to reason with his enemies and show them a better way are powerfully written.